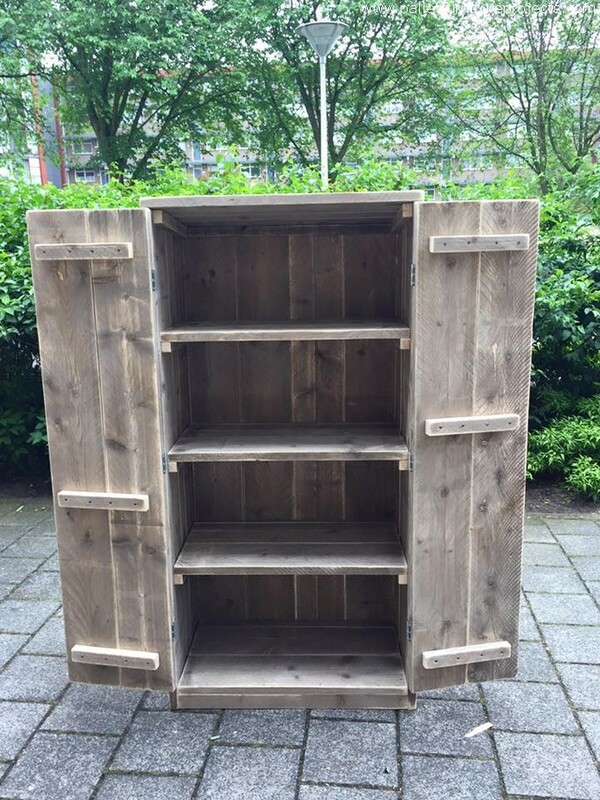 I know many guys out there are already confused to read the title that says that we are going to present a wooden pallet cabinet, and the guys would be like what? 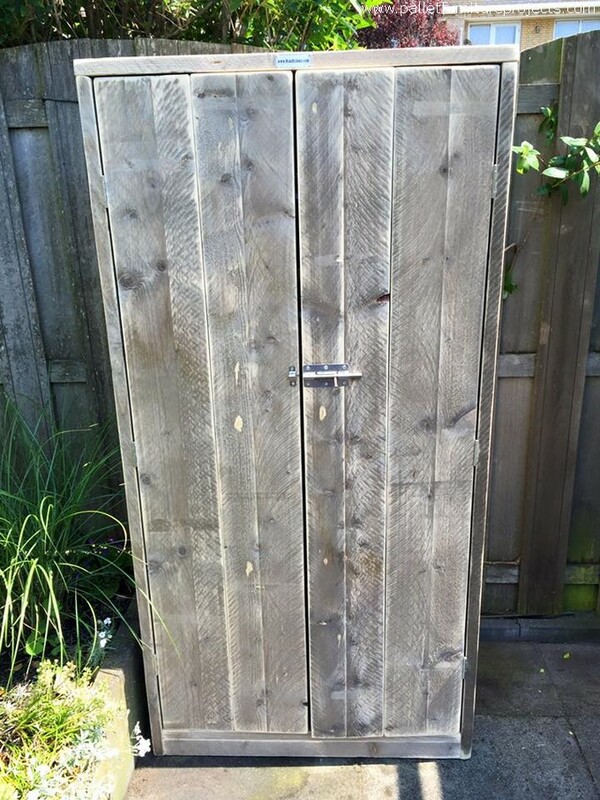 A wooden cabinet for the garden? 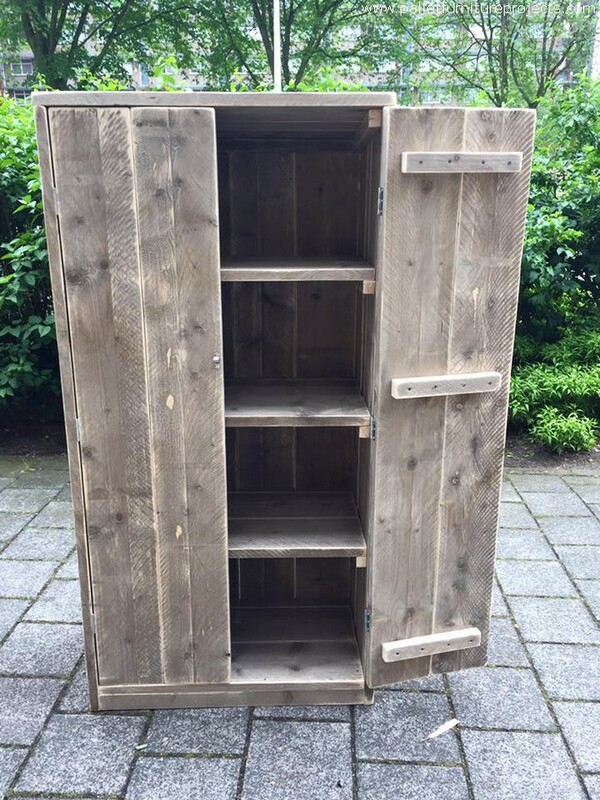 I meant who needs a wooden cabinet for the outdoors like garden and patio? But the answer is that when we are having such a cheap material like the shipping wooden pallets, then what stops us from being indulged in the wood pallet extravaganza? 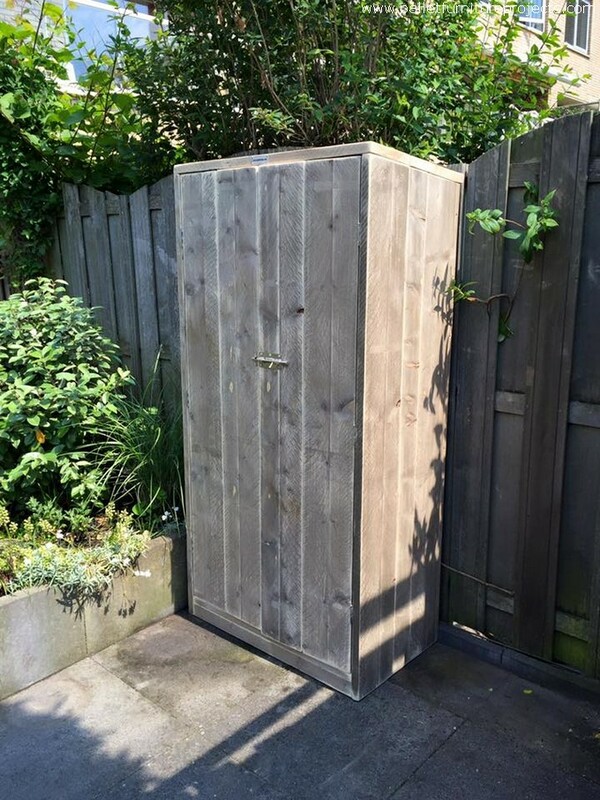 This would be a real fancy and attractive thing to have a splendid wooden wardrobe even in the garden, right? Sounds pretty great? Well, a supplementary question might arise that how exactly we are going to use the wardrobe in the garden, I mean we can’t afford to put inside our expensive clothes or some other expensive accessories that simply can’t be left in the open. But hang on dudes, the wardrobes are not essentially used for these typical uses, like they can be put to work in several other ways. If you are a gardener you can use it to put inside many related tools. Or may be some edibles that you normally serve in the outdoor. So are you done with the silly questions? Okay, now come to the real business. 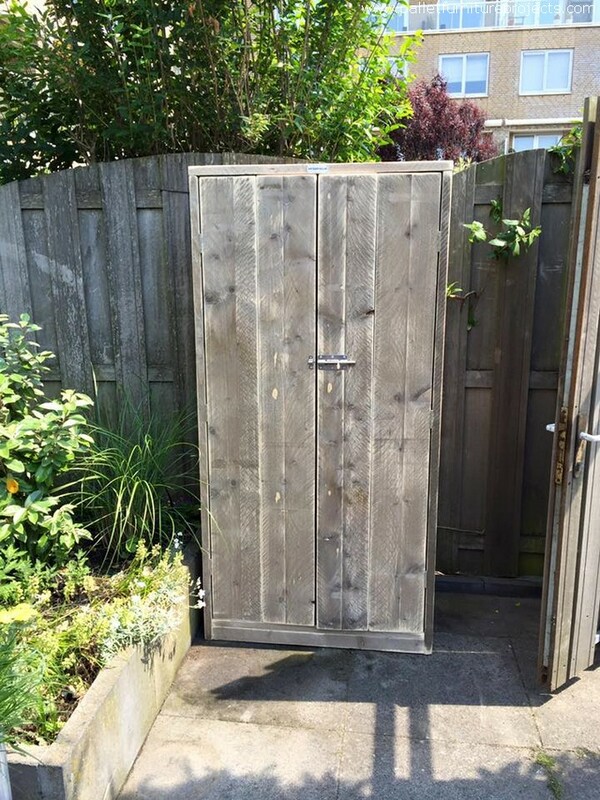 Having a glimpse of the wood pallet recycled wardrobe we can immediately figure out that may be the pallets were collected from some very old site because the pallets are pretty broken and deteriorated. But who gives a damn man, we are going to place it in the open so it would be tougher and more tolerant for the extreme weather conditions. We didn’t even bother to stain it because ultimately it is going to be affected by the weather conditions so the money was saved but still it is a good remedy in outdoors.